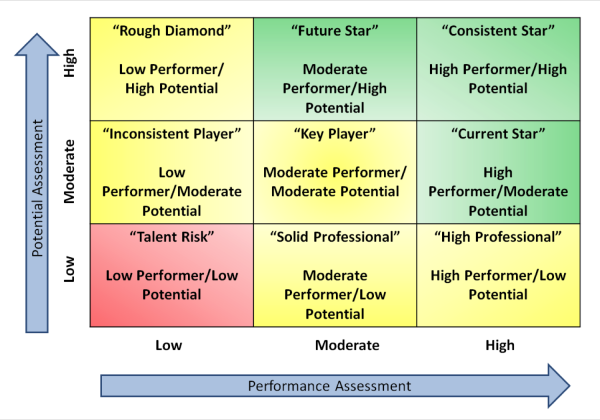 Part 1 of Use the 9 Box to Development Talent in Succession Planning will focus on development at the top of the 9 box grid - the development of individuals determined to be High Potential. Using both a rating of Potential and a rating of Performance helps to recognize the difference between these two concepts. Not all Hi Pos are high performers; Hi Pos have differing development needs. Demonstrate technical, professional, managerial, and leadership skills that are expected at the next organizational level. Development of these individuals should be aimed at challenging them - yet watching for signs of burnout or retention risk. Seek out new experiences, and learn quickly and apply lessons learned to address new, tough, or unusual challenges. Development of these individuals should include challenge, but also be aimed at maximizing performance. Development must first focus on determining the root cause of performance gaps and targeting all efforts to improve performance. 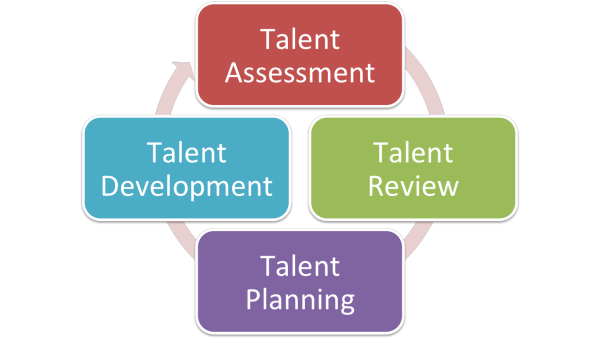 Part 2 of Use the 9 Box to Development Talent in Succession Planning - Developing Future Promise focuses on the development of individuals assessed as having Moderate Potential.